The men of the 603rd Camouflage Engineers designed and built hundreds of extremely convincing-looking rubber and inflatable tanks. In the animal kingdom a common tactic to scare off predators or to intimidate rivals is the use of visual deception to make oneself look bigger or scarier than one really is. 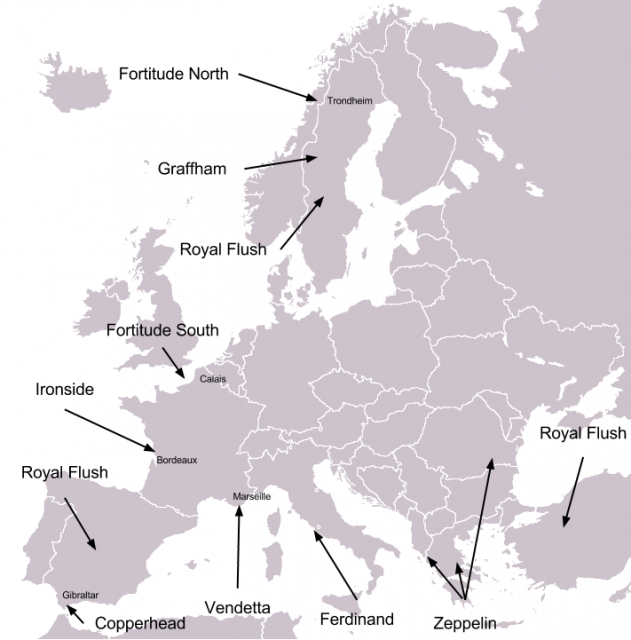 Similar tactics have been used by various military leaders throughout human history. 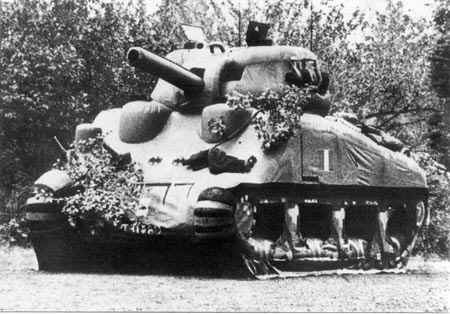 One of the most successful instances of the use of such visual trickery was the “Ghost Army” of the Second World War, a top-secret tactical deception unit charged with a rather unique task: to fool the Germans into believing that Allied forces on the ground were larger and more widespread than they really were. The Allied invasion of Normandy was an operation of immense daring, and indeed, one of the most challenging military operations ever conducted – and it was also an operation of massive risk. 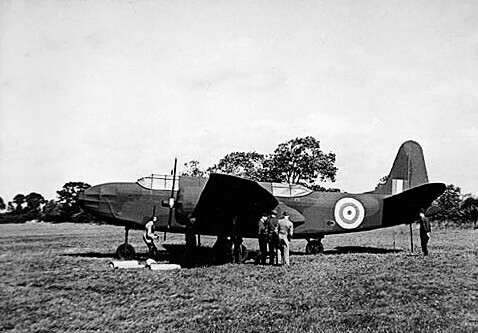 Allied military leaders realized that in order for the operation to succeed, and for the troops they were landing on the beaches to be able to successfully break through the Germans’ formidable defenses, they would not only need military might, they would also need an exceptional tactical approach – and part of this approach would most certainly involve unconventional tactics. This was how the top-secret Operation Quicksilver was born. 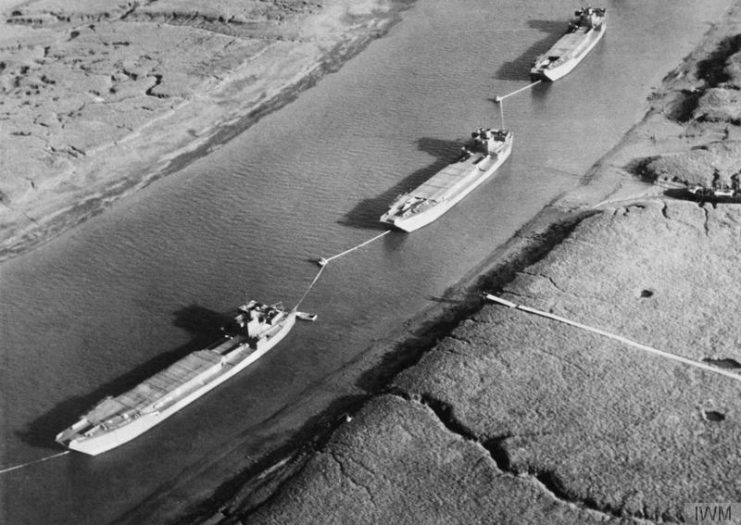 It was part of a larger plan of deception – Operation Bodyguard – which aimed to trick the Germans into thinking that the bulk of the Allied amphibious landings would take place on the beaches of Calais rather than those of Normandy. The main aim of Operation Quicksilver was to provide the visual and auditory “evidence” that would bolster the falsehoods that the Allies wished to convince the Germans were cold hard truths. To ensure that they had the best men for this kind of job, American military leadership recruited men from art schools, advertising agencies and recording studios – not the usual hunting grounds for troops for an elite unit. But for the role this new unit, named the 23rd Headquarters Special Troops, needed to play, artists, designers, sound engineers, and advertising men would be perfect. The 1,100 men of the 23rd – the so-called Ghost Army – were divided into specialized units to create and maintain tactical illusions of perfect complexity. Many of those who served in this unit went on to become famous artists and designers, such as fashion designer Bill Blass and artist Ellsworth Kelly, among others. In order to convincingly fool the Germans into believing that a major Allied force was going to be landing at Calais, the Ghost Army devised a masterful strategy. They would assemble a massive army without pulling any actual Allied troops from the field, but to any outside observers this phantom army would appear to be absolutely real. The 23rd approached their daunting task with a multifaceted approach. 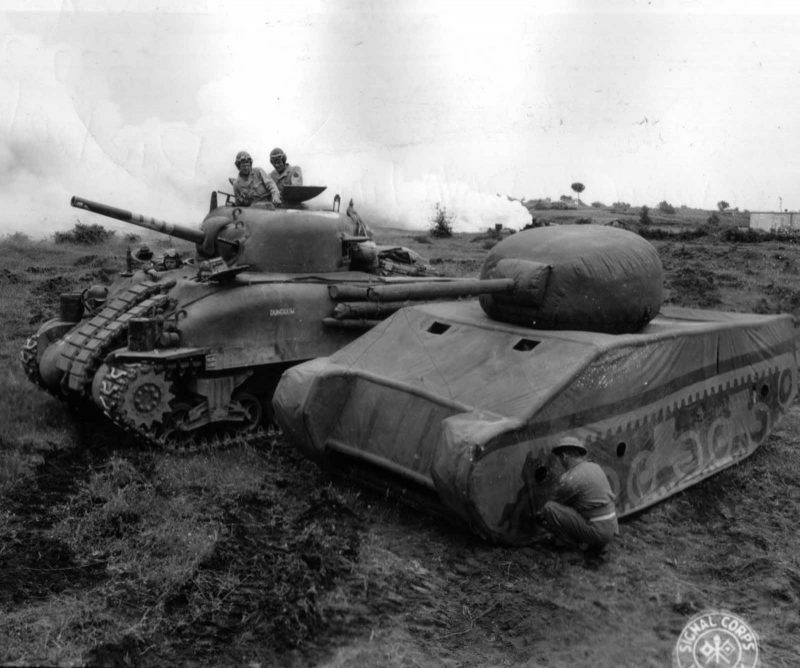 The men of the 603rd Camouflage Engineers designed and built hundreds of extremely convincing-looking rubber and inflatable tanks, armored cars, airplanes, artillery weapons, and jeeps that, from a distance, looked like the real thing. It was only when seen from up close that it became clear that they were dummies. Dummy landing craft used as decoys in south-eastern harbours in the period before D-Day. The Ghost Army was also able to use these props to set up convincing-looking camps, which made it seem as if thousands of Allied troops were on the ground, whereas in reality there were none. To bolster the visual illusions the 603rd created, there was a unit charged with creating auditory illusions, or sonic deception, as they preferred to call it. 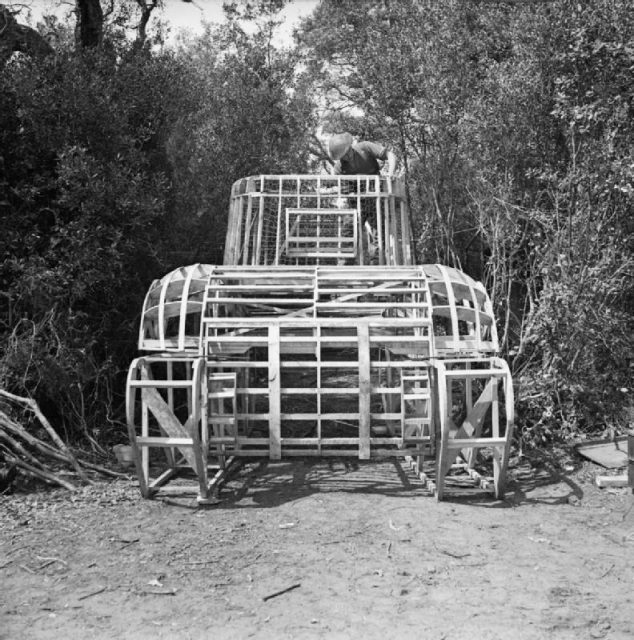 A dummy Sherman tank under construction by 6 Field Park Company, Royal Engineers, in the Anzio bridgehead, 29 April 1944. This unit, the 3132 Signal Service Company Special, used state of the art technology to record the sound of infantry troops, artillery units and military machinery at Fort Knox. These sounds were then broadcast at the sites of the visual illusions, where the rubber planes and inflatable tanks had been set up, to make it sound as if a genuine military camp was there. The amplifiers used to do this were so powerful that the sounds they played could be heard up to fifteen miles away. The 3132 Signal Service Company also created fake radio broadcasts, studying actual Allied military radio transmissions and mimicking them perfectly – but supplying completely false information to any German operatives who were listening in. This “Spoof Radio,” as it was called by the company, played a vital role in maintaining the overall illusion of phantom troop movements and fake unit positions and numbers. 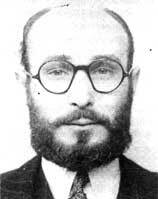 The deception was bolstered by trusted double agents, such as Juan Pujol Garcia, feeding the Germans misinformation that corresponded with the chatter on Spoof Radio. To further solidify the complex illusion the men of the 23rd had woven, those who possessed talent for acting would dress up in the uniforms of actual Allied units, and visit French cafes or other such places where they were sure German intelligence would be listening. There they would talk extremely convincingly about plans, operations and troop movements that didn’t actually exist, or where taking place in a completely different place than they claimed. 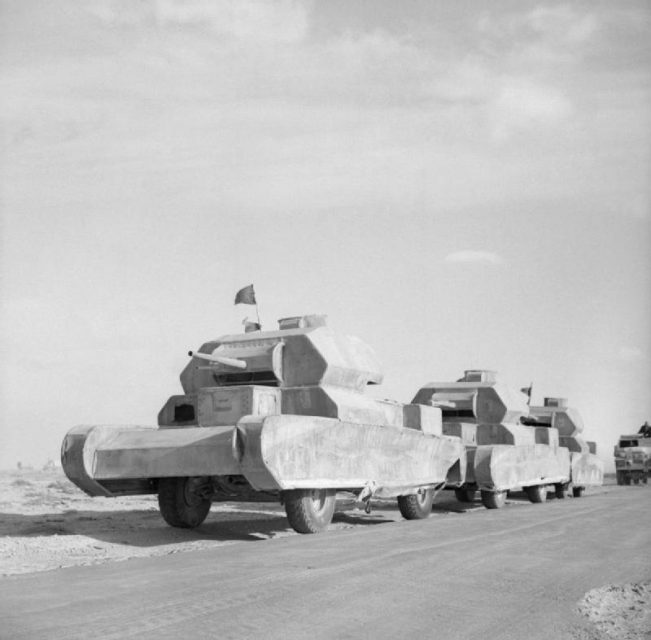 To further bolster these illusions, they would paint over individual trucks and jeeps with the insignia of whatever unit they were impersonating, and sometimes go as far as driving a handful of trucks or jeeps in a continuous loop to make it seem as if a far larger movement of troops was taking place. All in all, the Ghost Army’s tactics were a resounding success. The Germans did not throw the full weight of their forces into defending the beaches of Normandy, believing that the Normandy landings were a decoy, and that the main landings would still be at Calais. Even after the Normandy landings, many German military leaders were convinced that a huge Allied force was going to land at Calais – and the Ghost Army continued to maintain the illusion that this was happening, and that other major Allied forces had landed in places where there were actually no troops. 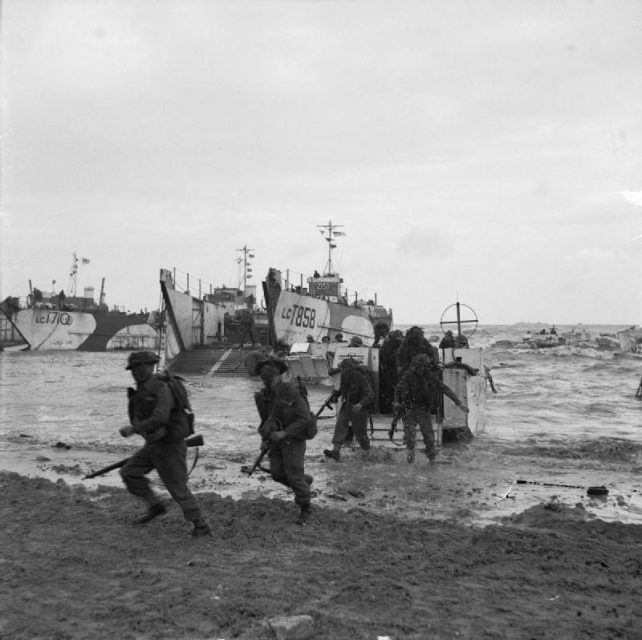 Operation Overlord (the Normandy Landings)- D-day 6 June 1944 Commando troops coming ashore from LCIs (Landing Craft Infantry). 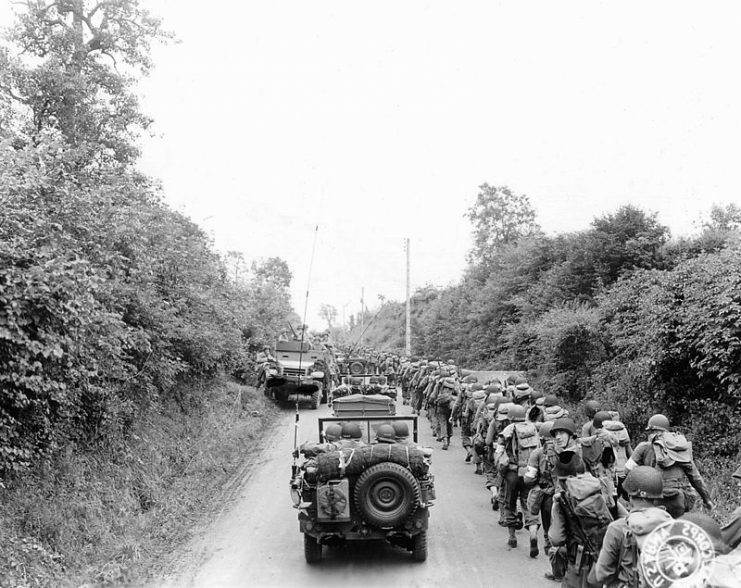 The artists, designers, sound engineers, actors, and advertising men of the 23rd thus played a vital role in the success of the invasion of Normandy, and the ultimate Allied victory of WWII, and through their actions they undoubtedly saved the lives of countless Allied troops. 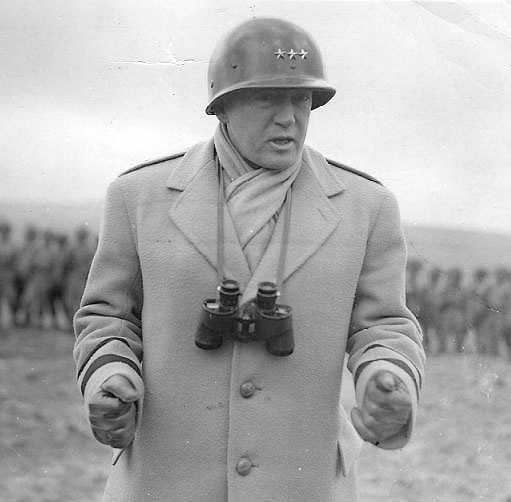 Read another story from us: Part 2: The Death of George Patton – Was America’s most controversial general assassinated? The amazing operation they conducted, however, remained an official secret for many decades after the war ended, and the information about Operation Quicksilver was classified until 1996. Now that it has been declassified, however, the ingenious deeds of the men of the 23rd can finally be broadcast to the world.